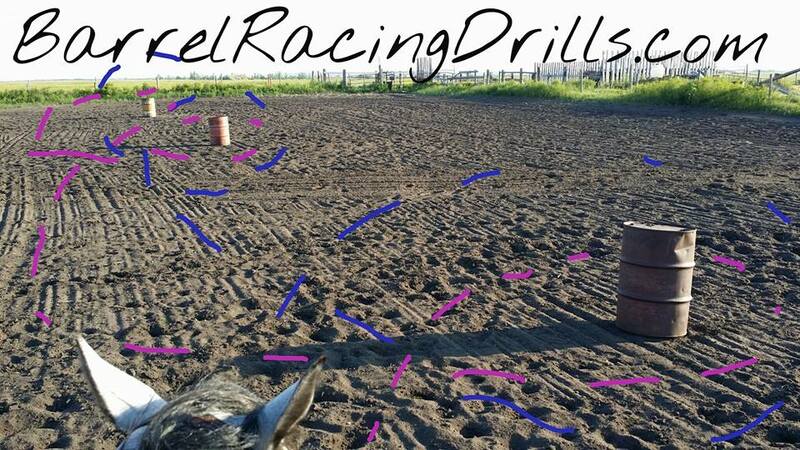 Here is a barrel racing exercise for you to try. 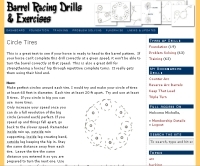 I use this one a lot and you can do quite a few different drills with just this one set up . 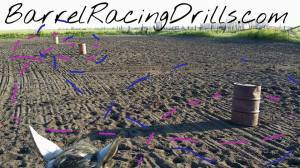 HOW: Set three barrels up in a row (equally spaced) and you will be able to work more than one drill with your setup. In blue I’m trotting and loping perfect circles. They can be the same size or different. You can circle each barrel one or more times. Make them relaxed and balanced. In pink, I’m turning all first barrels. Approaching and leaving each like it’s first. You can also use this setup to practice your second barrel turns.